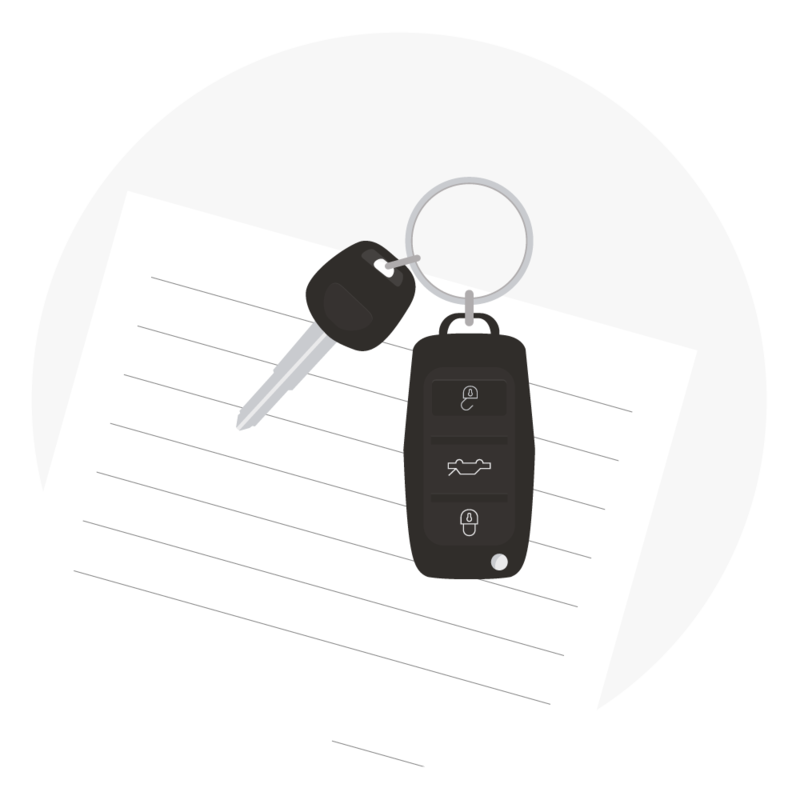 As you probably know, the cost of a vehicle fleet is consequent and is the second expense item for companies and collectivities. Paradoxically, vehicles remain parked 95% of the time. Our carsharing system will help optimize the size of your vehicle fleet while ensuring the same mobility requirements. In order to do so, we install into your vehicles an extra layer of intelligence and connect them to our booking platform. 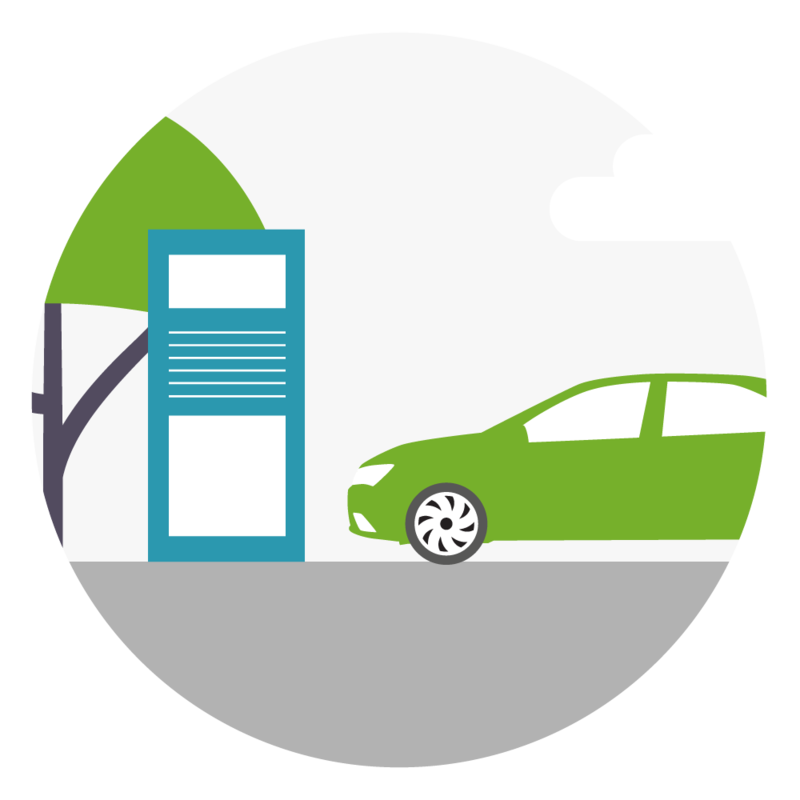 Thus, the subscribers to your carsharing service will be able to reserve a vehicle according to their needs. 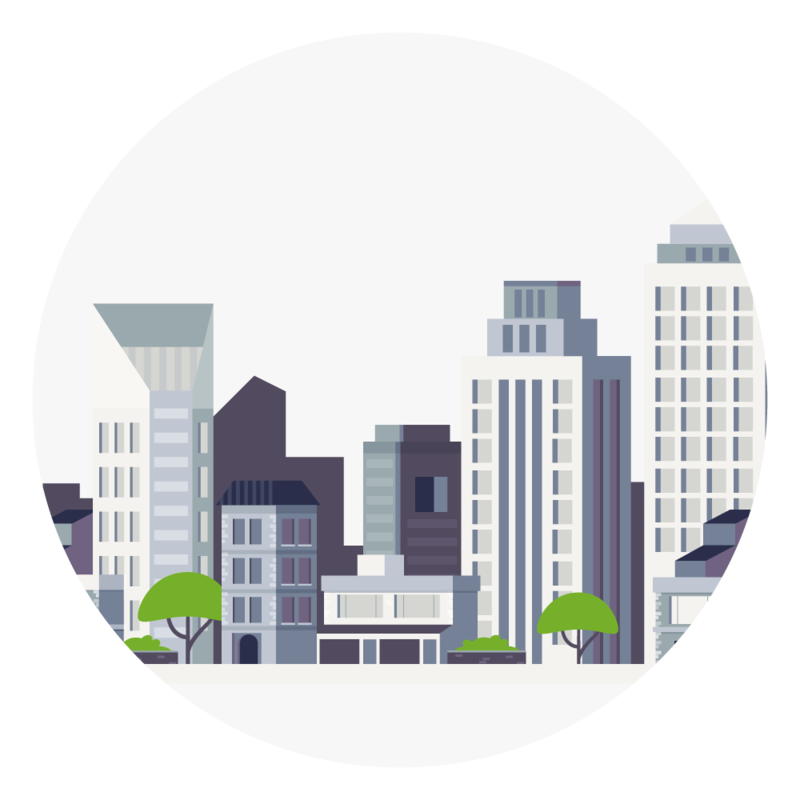 Why should you choose Mobility Tech Green for your corporate carsharing? Goodbye individual service vehicles, hello flexibility! An individual service vehicle can be relevant in case of frequent travels on long distances, but unfortunately most of the time it stays on the parking of the organization, waiting to be used for an eventual meeting outside the walls. For employees who do not have a service vehicle at their disposal another problematics are being raised: among them the reimbursement of their travel costs done with their personal vehicle is the most recurrent one. Offering a booking service for self-service vehicles, via carsharing, it’s the assurance of a great flexibility and a constant availability of vehicles for each user. 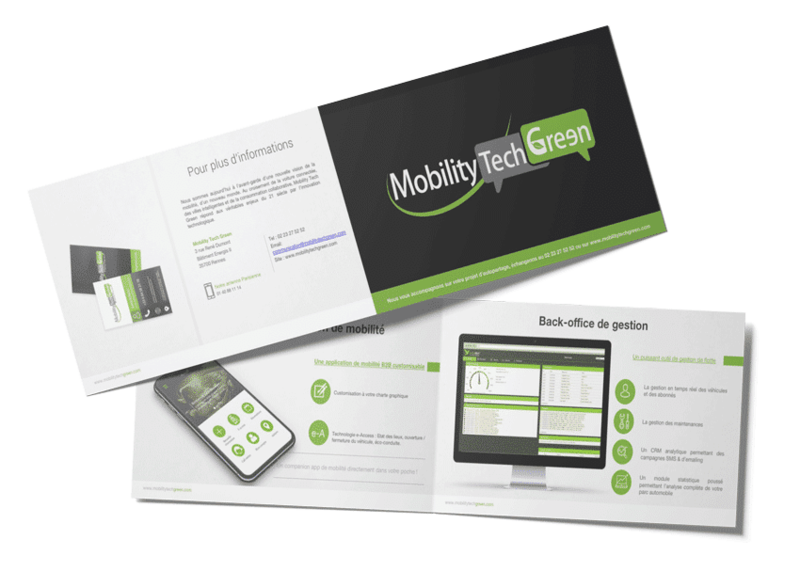 Why choose Mobility Tech Green? Our solutions, guarantee of reliability and security, are used by a large range of clients. From national big accounts, such as Orange or Enedis, to SMEs it’s that adaptability that seduces and the certainty of a service that improves corporate mobility every day. From the fleet manager point of view, it is also a real change for the administrations of his vehicles. These latter, being open to reservations, are far more used and the turnover is optimized. As a consequence maintenance costs are better distributed. 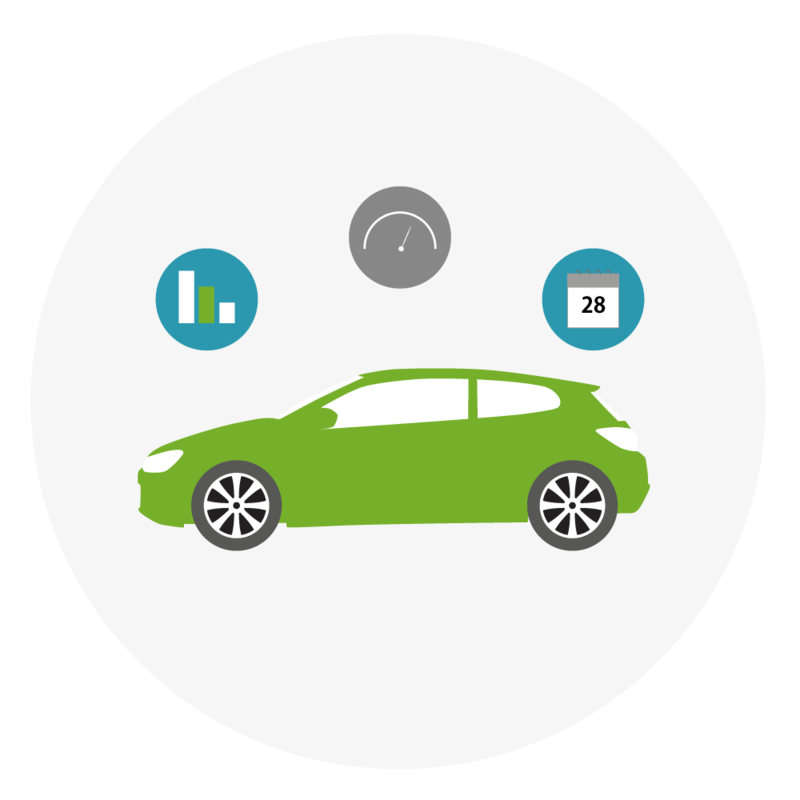 In average overall fleet management costs are reduced by 30% following the launch of a carsharing service. It can also provide precious data about the use of each vehicle, thus the fleet manager can adjust the size of the fleet effectively and avoid useless additional costs for vehicles parked most of the time. We are well aware that launching a corporate carsharing service can be a big step for an organization. That’s why Mobility Tech Green is dedicated to provide to its clients tools and options ensuring them a quick return on investment on their carsharing project. The goal is double: reducing their mobility costs while ensuring the same travel volume. Among these optimization tools, the pro/perso option, which allows the reservation of vehicles on evenings and week-ends, is especially relevant. A vehicle open to carsharing it’s 12 less individual vehicles on the road! 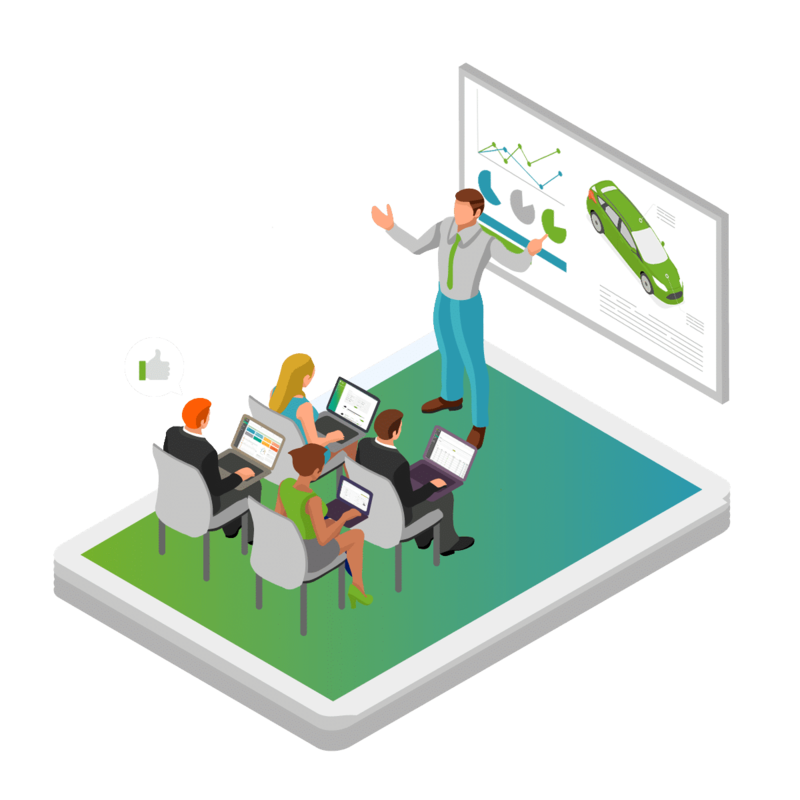 As part of a corporate mobility strategy, or in an effort of reducing the carbon footprint of the organization, this shared mobility can be a real asset. A practical mean to take into account social corporate responsibility while offering employees an innovating mobility service. Carsharing ensures an important reduction of the carbon footprint of an organization, by optimizing vehicles use and introducing more sustainable vehicles to users. 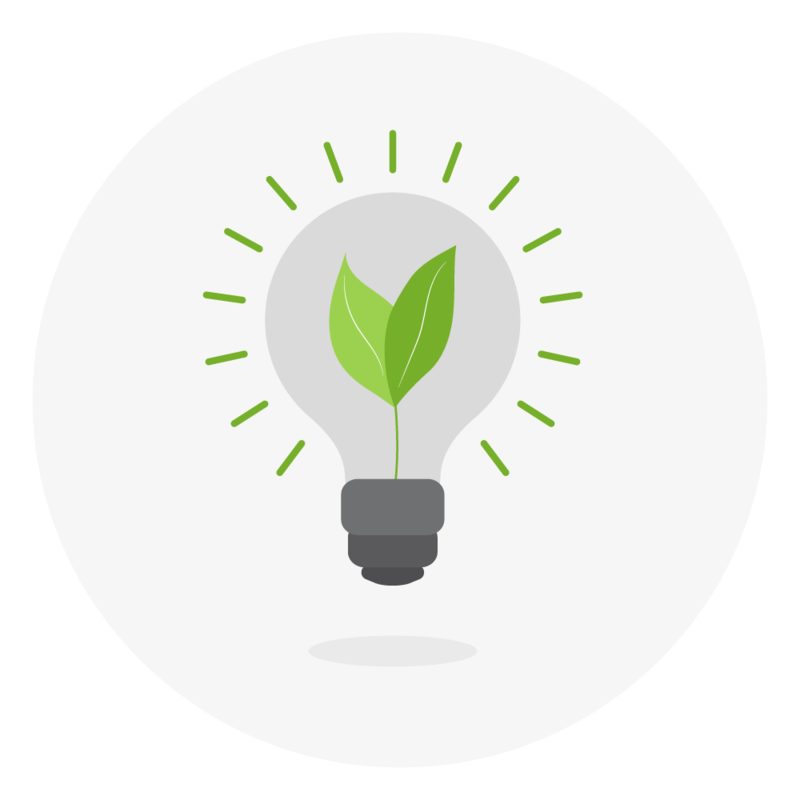 Mobility Tech Green, in accordance with its partners, help companies and collectivities with this change of paradigm. We are at your disposal to make your mobility eco-friendly and multimodal. Possibility to book a vehicle from a mobile application, digital key replacing the physical key, overview of your eco-driving scoring: carsharing is without a doubt a type of mobility perfectly fitted for the digital transformation that companies experience today. For end users, it is a service improving their everyday corporate mobility, at the tips of their fingers. For managers, carsharing is a way to rationalize their fleet, by collecting precise data about the use of their vehicles and to provide, day after day, a suited service to users while balancing costs. Mobility Tech Green has more than 12 years of experience on the B2B carsharing market. 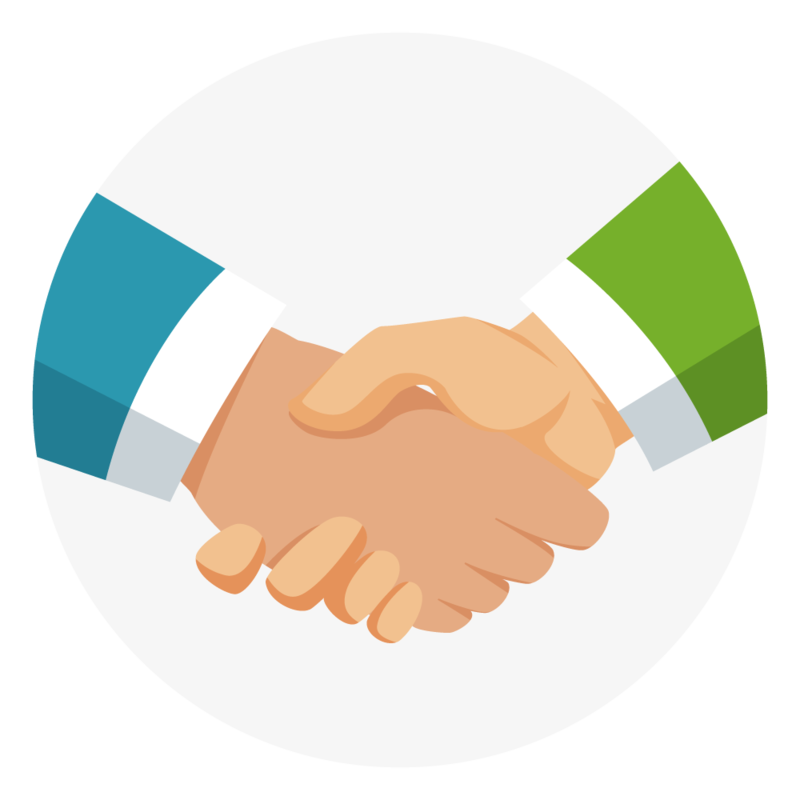 After all these years of research and hard work, we are confident in our software and hardware solutions, in phase with the reality of the market but also with our client’s feedbacks. Today, we’re looking even further into the optimization of corporate mobility with our innovation program for the next three years, i2M (Intelligence to Mobility). Being in constant evolution is our utmost priority. Do you want more informations about our solutions? Nothing more simple: download our documentation!